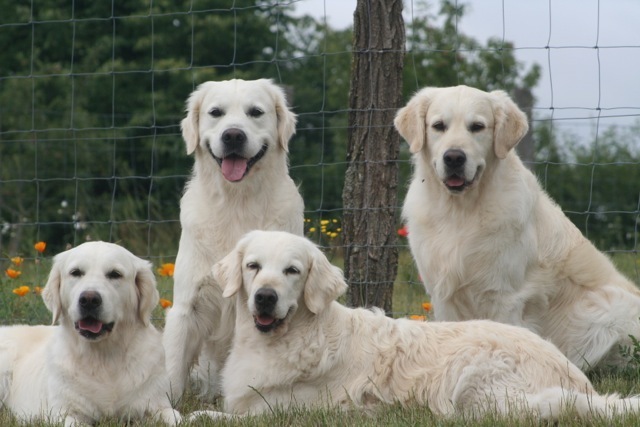 Welcome to Coppermoon (Reg’d) Golden Retrievers Home of Gidget, Angus McDude, Jethro and Ceilidh-Bug Extraordinary Golden Dogs! Shannon Flynn Beautiful Deep Cove on Vancouver Island coppermoon@platinum.ca Occasional breeders of quality Golden Retriever puppies, our pedigrees combine the very best English, European and N. American lines. We hope you enjoy your stay and come back to visit often! Coppermoon Goldens are powered by a natural raw food diet. Raise a Paw for Raw! !